The 7th AACTA Awards saw a record 55 Awards presented, with LION leading the Awards tally with a clean sweep, winning all twelve of the categories it was nominated for. Among others, the Oscar®-nominated film received the AACTA Awards for Best Film presented by Foxtel, Best Direction (awarded to Garth Davis), Best Supporting Actor (awarded to Dev Patel) and Best Lead Actor (awarded to nine-year-old Sunny Pawar, who now holds the record for the youngest winner in the category). Nicole Kidman continued a stellar year by winning both of her nominated categories – Best Supporting Actress for LION and Best Guest or Supporting Actress in a Television Drama for TOP OF THE LAKE: CHINA GIRL. The remaining two feature film Awards went to Emma Booth, who took home the AACTA Award for Best Lead Actress for HOUNDS OF LOVE, and ALI'S WEDDING, which received the Award for Best Original Screenplay. SEVEN TYPES OF AMBIGUITY led the television categories, receiving five Awards including Best Lead Actor in a Television Drama for Hugo Weaving, marking his first AACTA Award in a television category and his third consecutive AACTA Award. Jane Campion’s drama series TOP OF THE LAKE: CHINA GIRL and documentary WHITELEY followed closely behind, receiving four Awards each. Two new AACTA Awards were also presented: Best Online Video or Series, which was awarded to RackaRacka; and Best Asian Film presented by PR Asia, which was presented to Indian sports drama DANGAL by Best Asian Film Grand Jury President and Oscar® winner Russell Crowe. 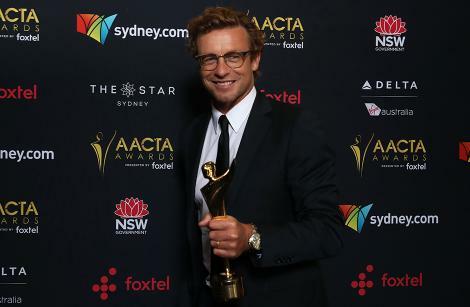 Receiving individual awards were Simon Baker who received the AACTA Trailblazer Award, Martin Butler and Bentley Dean who received the Byron Kennedy Award and Phillip Noyce, who was honoured with the prestigious Longford Lyell Award.